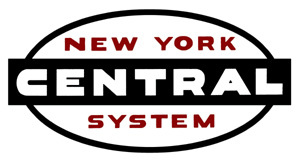 A system-wide, color examination of NYC’s stations, towers, shops, signals, yard offices, bridges and auxiliary parts of the physical plant. 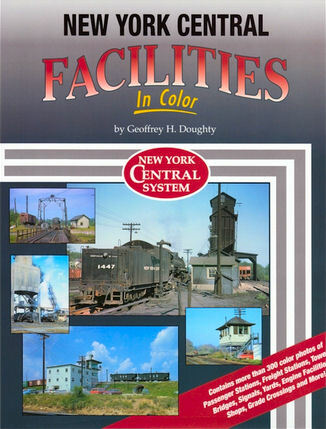 When first introduced in 2002, this volume was a new concept, a single book documenting a railroad’s physical plant in color. What a boon for railfans and model railroaders alike. Passenger train expert, and NYCSHS member Geoffrey Doughty presents a side of railroading often ignored. NYC fans, this may become your most-referred to book. Your shopkeeper’s copy is almost worn out, with ‘post-it’ notes all over. Morning Sun Books, hardcover with dust jacket, printed in China, copyright 2002, 128 pgs., 8.5 x 11 x .5 in., abt. 300 color photos with captions. NYCSHS members who are signed into their accounts will see pricing at 15% off; Ohio residents must add 8% sales tax.